Every year, eyebrows are raised over the Olivier Awards’ eligibility criteria. What Theatreland’s top prizes boast in prestige, they sometimes seem to lack in logic. It has only become worse since Society of London Theatre members were granted a say on the success – or otherwise – of the shows they’ve produced themselves. Even disregarding that, eligibility criteria throw up a set of surprising omissions. has to pay in to SOLT to win an Olivier and The Bridge’s bosses simply don’t see the value. Otherwise, this time around, Jamie Lloyd’s audacious Pinter at the Pinter season is glaringly absent. Arguably the biggest presence in the West End for the past six months, none of its individual productions racked up the requisite 30 performances to merit consideration and so, sadly, it has slipped through the cracks. At some stage, a line has to be drawn and it will inevitably lead to some oddities. 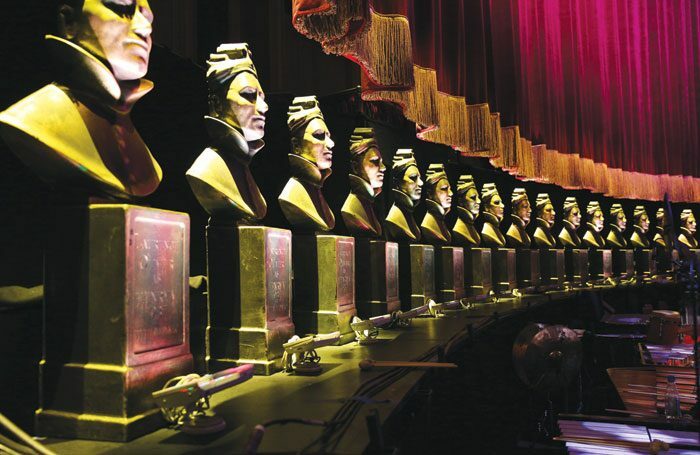 Any award has to adapt to the industry it celebrates and the Oliviers are overdue a shake-up. A couple of its categories look completely out of whack. My colleague Andrzej Lukowski has already taken aim at the best new comedy award, with its four eligible entrants – only one of which, he argues, is an out-and-out comedy and, hilariously, was the one show to drop off the final shortlist. The outstanding achievement in an affiliate theatre has the opposite problem. With 78 contenders ranging from chalk to cheese, it might as well be retitled Arbitrary Acknowledgement of Another Theatre. It’s worse since SOLT members held sway. None of them can have seen a significant sample of so many shows, many of which played short runs in small spaces. The result, more and more, is a strangely erratic shortlist. When the award was established 15 years ago, it sought to recognise the exceptional: the sort of theatrical event that broke a mould or made a real mark. The Tricycle’s tribunal plays won, as did David Lan’s refurbished Young Vic and Roadkill – a site-specific show about human trafficking. Nominees tended to be outstanding achievements in every sense of the word. It’s becoming harder to say the same. In 15 years, London’s theatrical ecology has changed. Major affiliate members now stump up subs for consideration in the main prizes. All the Almeida’s shows go into that mix, as do the Donmar Warehouse and the Young Vic, leaving a random, sometimes illogical, selection of main stages and studios: the Lyric Hammersmith, but not the Rose Theatre Kingston; both Park spaces, neither at Southwark Playhouse; The Bush, but not the Gate. The selection’s beyond eclectic. It has stopped making sense. The Oliviers haven’t had a major shake-up in years and it’s time SOLT re-assessed how it recognises the shows on its own edges.